Afropop Worldwide is the Peabody Award-winning nonprofit public radio series (hosted by Georges Collinet), podcast and website (afropop.org). Afropop’s mission is to reveal the essential music and stories of Africa and the African diaspora, celebrating the roots of the world’s greatest pop music traditions. We’ve taken listeners on audio journeys to over 45 countries and introduced them to the finest artists on our African planet. Afropop’s weekly media productions, events and collaborations harness the emotional power of music to foster a deeper understanding of our world. Our NEH-funded Hip Deep subseries boldly investigates history, politics, religion and literature through the illuminating lens of music. Hip Deep exemplifies Afropop’s guiding mission to connect communities and counter the negativity and alarmism of mainstream news with uplift, insight, compassion, and profound awareness of African and African diaspora cultures and societies everywhere. 2018 marks Afropop’s 30th Anniversary, and it’s time to celebrate! Afropop galas unfailingly thrill attendees with dazzling entertainment and social interaction you won’t find anywhere else. This year’s event is no exception, culminating in performances by two new Afropop Hall of Fame honorees: Garifuna global ambassador Aurelio Martinez, and Zimbabwe’s international sensation, Mokoomba. This, our most ambitious gala ever, will provide a unique opportunity to connect with old and new friends, and with cutting-edge innovators in the arts, media, business, philanthropy and the continuing fight for social justice around the globe. We’re thrilled to announce that Harry Belafonte is our Honorary Gala Chair. This will be the best party you’ll attend all year! Singer/songwriter, guitarist and bandleader Aurelio Martinez is one of Central America’s most electrifying performers. Born in Honduras, Aurelio is gifted with a golden voice and irresistible charisma. He is also the major living tradition-bearer of Garifuna culture—nothing less than the global ambassador for the Garifuna Nation. Garifuna are people of Amerindian and West African descent who live along Central America’s Caribbean coast. Aurelio first learned to sing from his musical mother, who crafted many of the songs he performs today. In 2004, he released his first solo album Garifuna Soul—immediately flagged by Afropop as the discovery of that year. 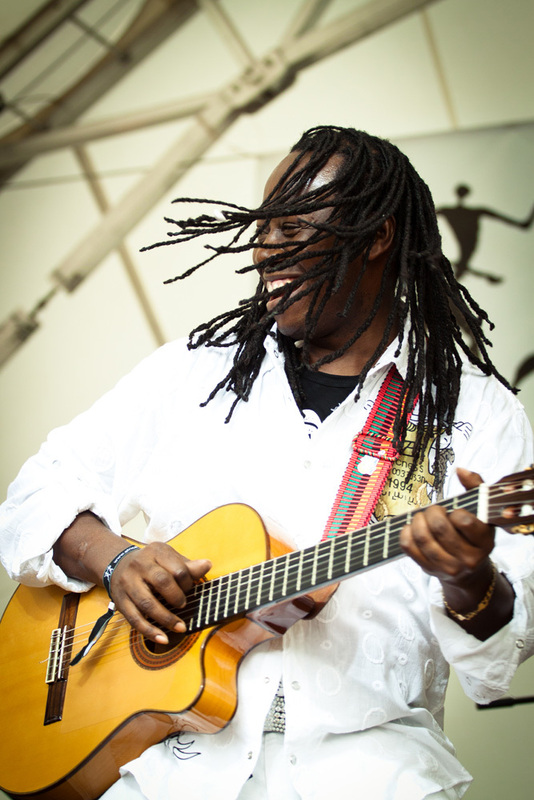 In 2006, he became the first Garifuna member of the Honduran National Congress, but he soon discovered that music, not politics, was the most effective way to advance the Garifuna Nation. In 2008, the Rolex Mentor and Protégé Arts Initiative awarded Aurelio a year-long mentorship with Grammy Award-winning Senegalese legend Youssou N’Dour. With Youssou, Aurelio spent time in Africa for the first time, an experience that enriched his innovative musical creations and fortified his mission. Says Aurelio, “We’re not going to let Garifuna culture die. 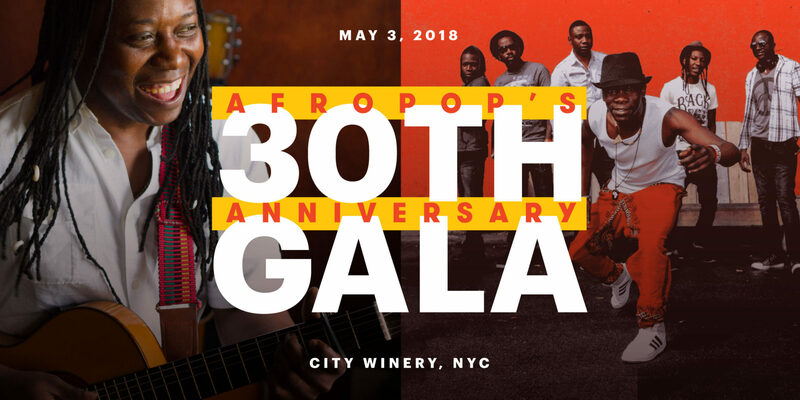 I know I must continue my ancestors’ legacy and find new ways to share it with the world.” Afropop’s 30th Anniversary Gala proudly salutes this extraordinary mission and its most endearing champion. Mokoomba is one the most exciting bands to come out of Africa in the 21st century. This explosively talented six-man crew from northern Zimbabwe has toured over 40 countries on five continents, and performed at the world’s most prestigious international festivals and venues, including New York’s Apollo Theater. Zimbabwe’s best-known musical icons, Thomas Mapfumo and Oliver Mtukudkzi, exemplify the culture of the country’s Shona majority. 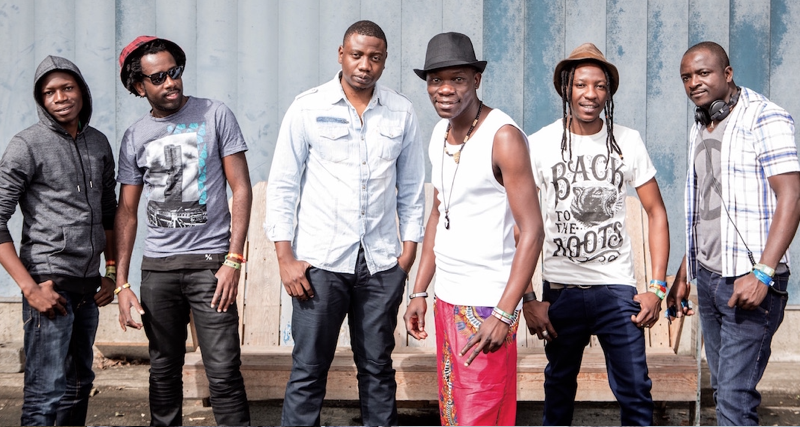 But Mokoomba’s music is rooted in the Tonga, Luvale and Nyanja rhythms and melodies from Victoria Falls, where these six grew up together, friends since childhood. Mokoomba’s signature sound is a mix of indigenous elements—including stirring songs from boys’ initiation ceremonies—and influences from modern regional styles, such as Congolese soukous and South African vocal polyphony. Rising Tide (2012) and more acoustic and rootsy Luyando (2017)—have garnered universal acclaim. But nothing compares to the band’s kinetic, choreographed stage show, centered around mesmerizing lead singer Mathias Muzaza. Mathis can coo and croon, growl like a dancehall braggadocio, toss in falsetto and vibrato or soar into his full throated, leather-smooth tenor, reminiscent of Salif Keita in a West African griot’s wail. Mokoomba’s exclusive New York City performance at Afropop’s 30th Anniversary Gala is guaranteed to fill the dance floor in an ecstatic culmination of this once-in-a-lifetime celebration. Please note that you can sponsor a talented local NYC African musician (of whom there are many) to attend the Gala or join you at your table! I cannot attend the Afropop Gala but would like to make a contribution to the work.